There’s a million options out there when it comes to weighted blankets. They’re a real buzz-product lately, and companies offering the ‘best’ blanket are everywhere. Rocabi are one such company, and they sent me one of theirs to try out at home. So what is it, and what did I think? Pretty much the first thing to mention is that 25lbs is a lot heavier than you’d imagine. This is hefty, and feels like quality. A weighted blanket is designed with pockets of bead filling that add mass to the blanket, producing a deep-touch sensation that’s not unlike a comforting hug. Science tells us that happy hormones like serotonin are released when we’re feeling comfortable and safe; plenty of reports around the internet vouch for feeling more relaxed and sleeping better when using their blanket. 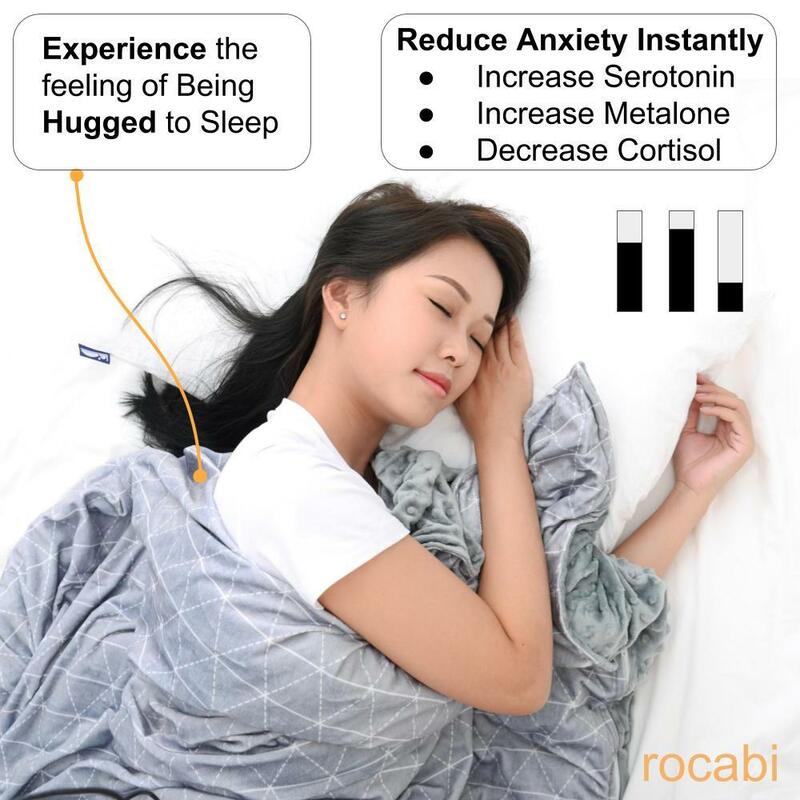 The Rocabi weighted blanket is made of two parts. 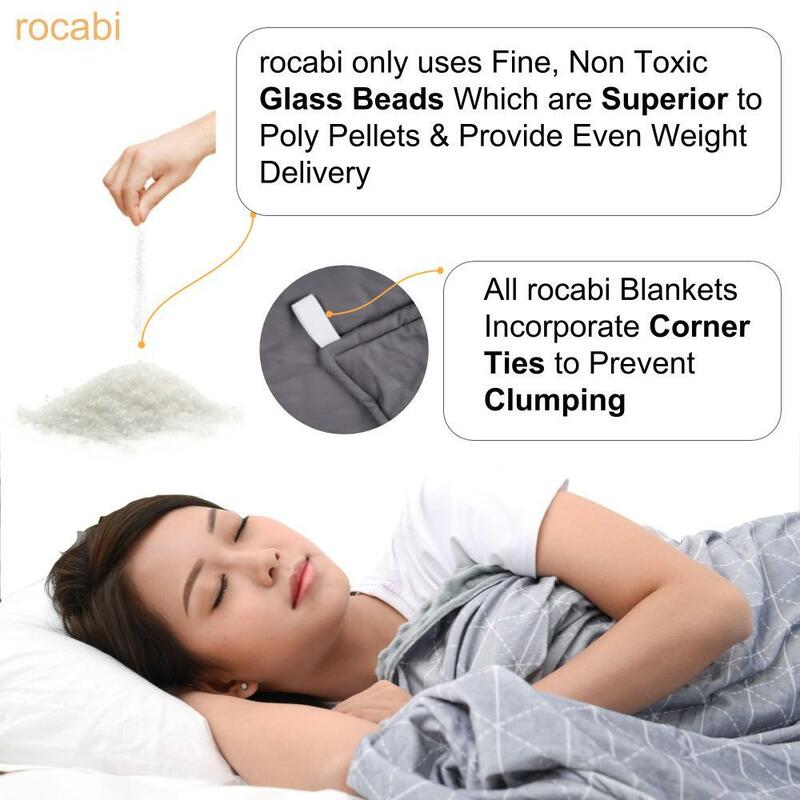 There’s the inner blanket – the weighted part – which is 100% Cotton, and filled with high-density, non-toxic glass beads. The beads are sewn into pockets, which means the weight remains evenly and fully distributed. 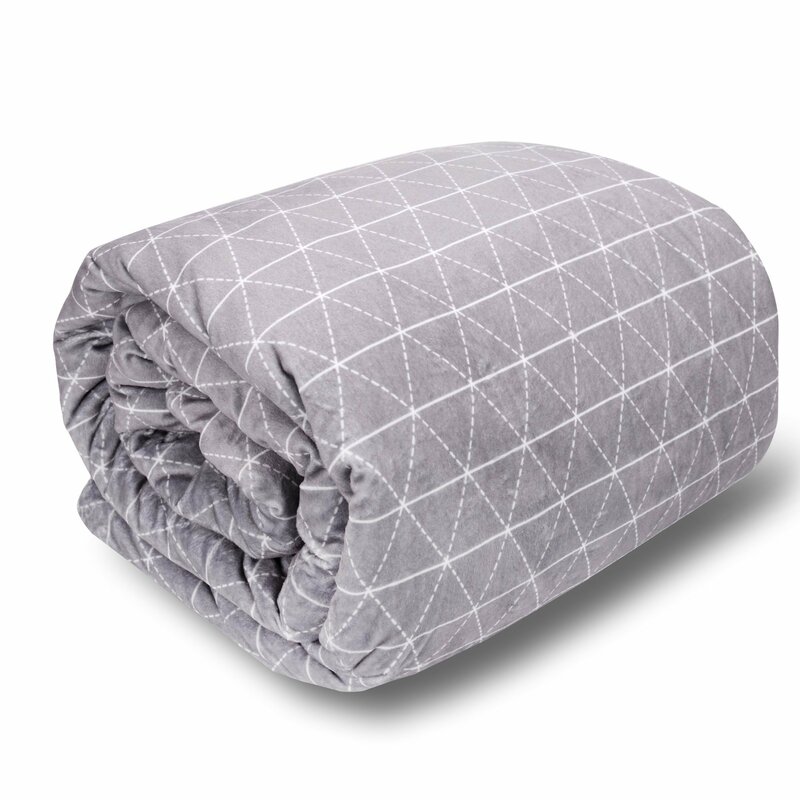 The second part is a lovely grey, geometric patterned outer cover that is made of a soft, minky polyester microfiber. On the one side it’s smooth, but the real treat is the textured reverse. If I’m using the blanket on the couch, I’ll have the bobbles facing up, so I can stroke it – the texture helps with the calming effects. But on bare skin, those bobbles become seriously soothing. I am a fan of my Rocabi. I am always looking for ways to improve my life, and this is a benefit in so many ways. I’m a fidgety human, especially when trying to get to sleep, and that makes it hard to switch off and relax. With the blanket over me, my legs hardly move – nor do I feel the need to – and I can drop off and sleep in half the time. When I feel insecure, or like I need comfort, then I’ll drag it to the sofa and cuddle up under it with a cup of tea. The weight gives a feeling of being cocooned in a safe hug, and reduces my anxiety by a lot.